I have a tablecloth and I adore the way it looks. Unfortunately it was too big for the new table we bought. 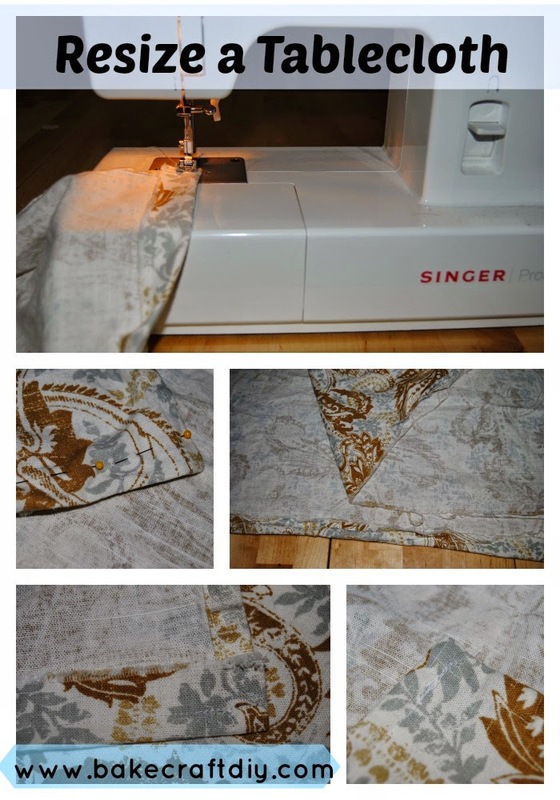 Enter my Singer sewing machine! I cut off a lot of extra fabric and then fixed the part a cut off making a smaller tablecloth that looks fantastic on the table for special occasions. For day to day use I took the excess fabric and made a table runner... we really downsized when we bought our new table from Ikea, but our Ikea table folds to take up no space at all when we need the room for activities so I love it. And I'm loving my "new" tablecloth and runner!